Flipboard, the mobile publishing app with 90 million monthly readers, is launching a vertical video ad unit Wednesday with independent film distributor Bleecker Street as its first buyer. On the heels of its critically acclaimed film Captain Fantastic, Bleecker Street is pushing historical thriller Anthropoid while targeting readers of politics, movies, entertainment and news. Call it the Snapchat Effect, but everyone nowadays wants to test vertical video. Tyler Dinapoli, president of marketing, media and research at Bleecker Street, told Adweek he's "eager to see the results of this campaign. The new format allows the viewer a unique and new perspective on the go." The ad unit is part of Flipboard's larger Cinema Loop package, which offers mobile spots that loop like GIFs and are between three and 10 seconds long. Palo Alto, Calif.-based Flipboard claims brands get 20 percent better video completions and twice the engagement with the horizontal version of the ads. It expects vertical to perform even better. Anthropoid, a Word War II-based film starring Cillian Murphy and Jamie Dornan, hits theaters on Aug. 12. Its Flipboard campaign, created by PHD Worldwide, consists of 15-second movie trailers and begins Thursday. "More and more video production is being filmed and edited for vertical viewing on mobile phones," said Nicole McCormack, head of advertising strategy at Flipboard, via email. 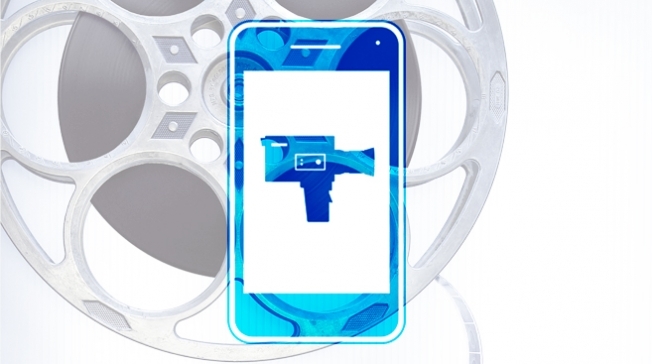 "This optimized mobile video production allows for easier viewing and higher engagement with mobile viewers."